Scene from the “Tracing the footsteps of Human Society” video of the Diachronic Museum of Larissa. Two Greek museums – the Diachronic Museum of Larissa and the Archaeological Museum of Kythera – are among the 12 finalists in the running to win a “Museums in Short” 2018 award. Launched by musil – Museum of Industry and Labour, in collaboration with EMA- European Museum Academy, Fondazione Brescia Musei and Forum of Slavic Cultures, “Museums in Short” is a European contest for short videos produced by/for/with museums. Running for the fifth year, 49 museums from 20 European countries applied to be nominated for a “Museums in Short” 2018 award. The short videos of the Diachronic Museum of Larissa and the Archaeological Museum of Kythera were shortlisted, along with 10 other videos from museums in Denmark, The Netherlands, Spain, Slovenia, Latvia, Italy, France, Bosnia and Herzegovina and Sweden, by a jury/international group of museum, media and video professionals. The 12 finalists were divided in three categories: “Promotional” (trailers communicating museums, their exhibitions or events), “Exhibits” (short video realized for permanent or temporary exhibition) and “Storytelling” (short narratives in video format – fictional documentaries, interviews, motion graphics, animations, etc.). 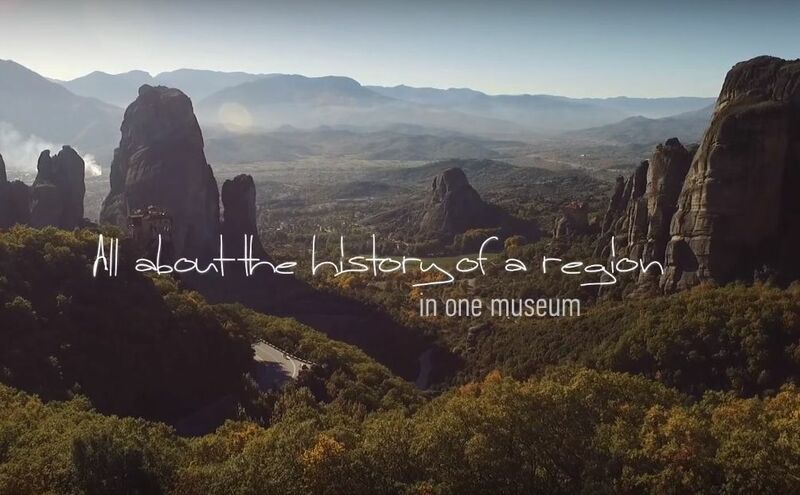 The Diachronic Museum of Larissa has been nominated in the “Promotional” category for its “Tracing the footsteps of Human Society” video. 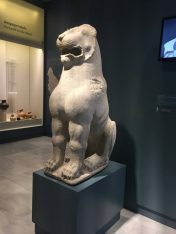 The “I am the Lion of Kythera”, submitted by the Archaeological Museum of Kythera, has been nominated in the “Storytelling” category. The winners in each category will be announced at a ceremony in Piran, Slovenia, on August 31, hosted by the International foundation Forum of Slavic Cultures and Piran Municipality. The 12 best videos will be soon be uploaded on an online voting platform. A Special Public Audience certificate will be handed to the winner of the online voting. “Museums in Short” awards are presented to institutions, authors or producers who use videos to enhance museum communication and engage audiences. Projects may include documentaries, animations, trailers and visual installations. More than 200 are gathered in “Museums in Short” archive.